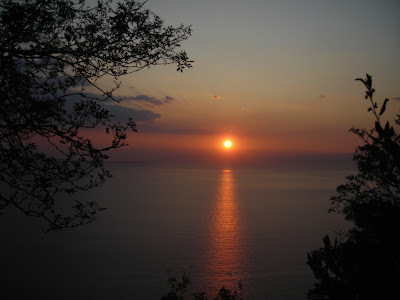 The Ligurian Coast in the North-West of Italy matches in beauty the nearby French Riviera. 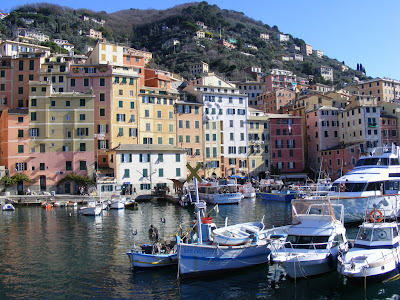 With the capital at Genoa, Liguria has a lot of lovely coastal villages but Punta Chiappa seems to top them all. This is a great place to explore the Mediterranean cuisine as the village has a lot of restaurants by the sea right next to the traditional fisheries of Punta Chiappa. You will get a great selections of dishes with an incredible view of the coastline. 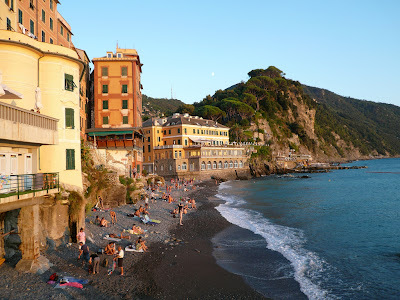 Other than just enjoying the sea and the beach one can always try to have a walk by the coast to the larger community of Camogli, it's a great scenery of unspoiled nature.